Teaching for Change has opened up a new world for me. As the ESOL Department Chair at Buck Lodge Middle School in PG County, I am always trying to find ways to advocate for my students who mostly come from Central America. The Introduction to Central America lesson has allowed me to show our teachers how they can make better connections with our students. 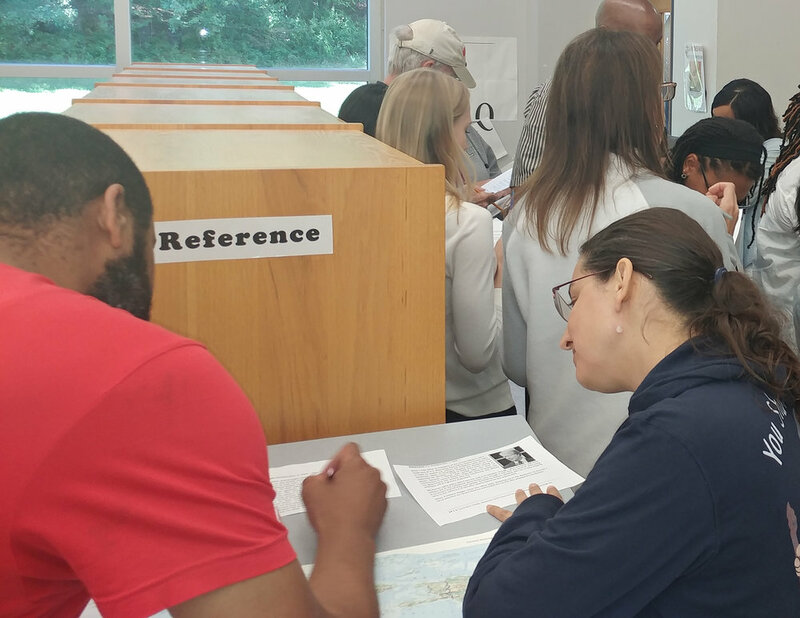 More than 70 Alexandria City Public School (ACPS) administrators gathered at the Lee Community & Senior Center on April 24, 2018 for a workshop on culturally relevant curriculum facilitated by Teaching for Change staff Faye Colon and Deborah Menkart. 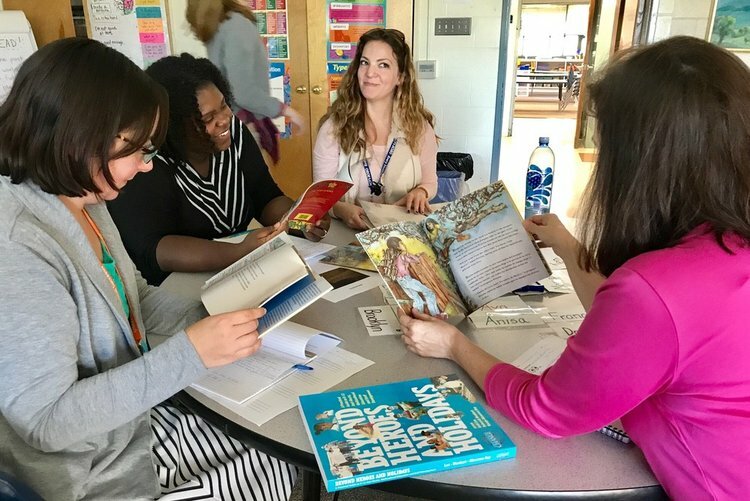 For the past two years, the Alexandria City Public Schools (ACPS) has invited Teaching for Change to provide educators with a three-part professional development course on teaching about Central America. To our knowledge, Alexandria is the only public-school district in the nation providing educators with a course on Central American history and culture. The majority of Latino students in DC schools have Central American heritage. However, their history and literature is largely absent from the curriculum.Thanks to support from the DCPS Language Acquisition Office, Teaching for Change offered free workshops on Central America during Latinx/Hispanic Heritage Month. Faye Colon, coordinator of teacher engagement and professional development, visited classrooms at Ballou High School, Dunbar High School, and Roosevelt Senior High School to lead our popular role play lesson, Introduction to Central America. My Third Graders Love Reading "Wilfredo"
Teachers at Oakland International High School (OIHS) engage in community walks to learn about the lives of their students and families. This article from Teaching Tolerance describes a walk in the immigrant Guatemalan community. To prepare, teachers read an excerpt from Rigoberta Menchú’s book and hear from students about the different regions of Guatemala. On their walk they visit a Mam-language church, talk with day laborers about their work, and eat at a local restaurant. 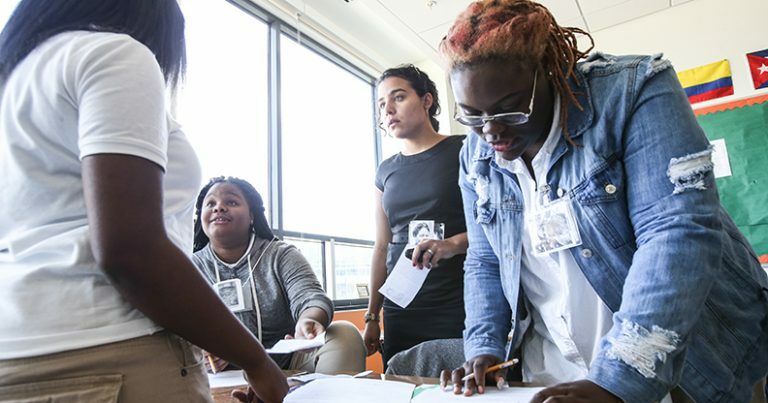 This professional development field trip approach could be used in schools across the country to learn about neighborhood history, culture, and activism. In July of 2013, Claire Sontag and Fabiana Duarte, two Washington, D.C. based dual-language teachers, traveled through Nicaragua, El Salvador, and Guatemala to learn about the history and culture of their students and their families. During their time in each country, they met with local officials, visited public schools, and explored the cultural diversity of each country through museums, religious ceremonies, and by spending time with community members.